This year, one of my children was diagnosed with Celiac Disease. To put it lightly, it’s been a steep learning curve. Between figuring out how to determine what products are safe, what restaurants are safe, and how best to manage a kitchen for our family, we’ve learned a lot. 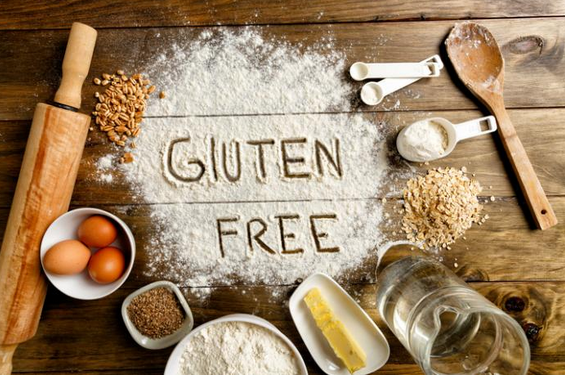 Gluten-free items are often widely available, but when you are dealing with an actual diagnosis of celiac, things are a bit more complicated. Some restaurants offer “gluten friendly” options that are not actually safe for my child to eat. Cross contanimation can pop up all sorts of places, and you need to become a food detective to ensure that your choices really are free of gluten. Attend an info night at your local Chapter of the Canadian Celiac Association. Celiac 101 Information Night through the Calgary Celiac Association was a great help. *I* knew a lot, and had done quite a bit of reading around the diagnosis process, but my child with celiac and my husband found this evening really helpful. Maybe because it was someone besides me providing the information (ha!). We enjoyed some coaching on label reading, and got to ask some questions, and we all came out better informed. Don’t try to substitute everything. Jana Spindler in our office suggested that we work on eating more rice and potato-based meals, which are naturally gluten-free meals, instead of trying to navigate some of the gluten-free options on the market. Not only do many of the gluten-free substitutes have a different texture or flavour, but they are often tricky to navigate with blood sugar needs (yes, two of my children, including the one with celiac disease also have type 1 diabetes, and many gluten-free foods are higher in carbohydrates than their “regular” counterparts). Sticking to familiar meals that aren’t trying to replicate foods that are now on the “no” list has helped with the mental shift as well. We are trying out some new items, and some home baking, but knowing we have familiar foods in our wheelhouse is helping a lot. Deb Lounsbury, who is our office Celiac expert, has been a wealth of knowledge and “been there, done that” for me. One of the most simple pieces of advice she gave me is to use squeezable bottles for condiments. Seriously, #mindblown. This helped me greatly reduce the risk of cross-contamination in our kitchen, and is such a simple shift in what I purchase. We’ve also added notes in sharpie and/or tape on some of our non-squeezable containers to help us all have the safest kitchen. Get some support. Odds are, you have at least one friend or family member in your life who also has celiac disease. One of my dear friends also has a similar-aged child with celiac disease. She may live a province away, but she is always just a text message away. This has been helpful for suggestions on which iron supplement her child tolerated, or how they arranged some parts of their kitchen, or to commiserate over near-misses with adding an ingredient that is no longer safe (true story!) There are also online groups on Facebook, or in person meetups you can find in many communities to find support and encouragement. Knowing others are navigating the same concerns is really helpful. Give yourself some grace. This was actually advice from the specialist that diagnosed my child. It was very encouraging to hear this doctor remind us that we may make mistakes, and not to panic. This has been allowing us to breathe through the process of making our home safe, and learning how to share knowledge, advocate for, and feed our child. If you, or a family member, has celiac disease, these tips may help you. Or, you may find working with a registered dietitian can help you navigate the learning curves and struggles of celiac. CONTACT US to set up an appointment.